In tourism, there is a Golden Triangle of Grandness, Beauteousness, and Naturalness. You can’t ignore one while visiting others. 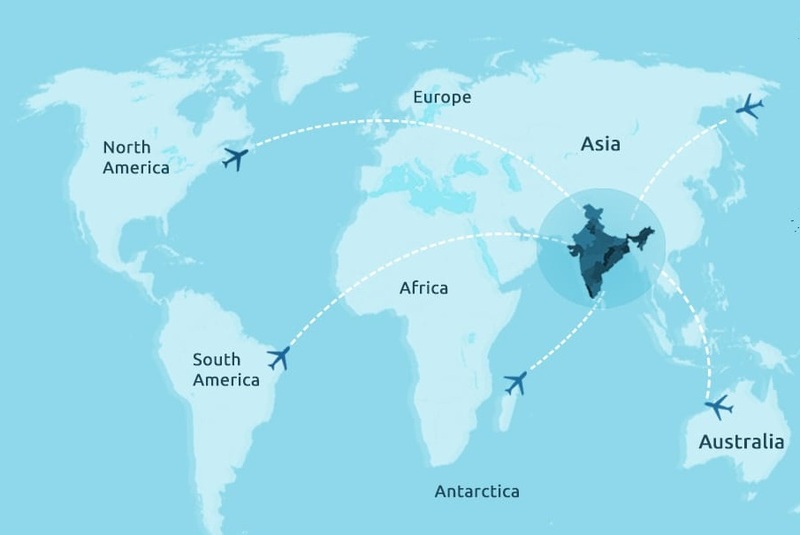 The beautiful pavement covering the Grandness of Delhi, beauteous of Jaipur and naturalness of the Tajmahal City Agra is the popular Golden Triangle of India. Book the most luxurious and comfortable golden triangle tours from your city and enjoy the most Adventurous and thrilling stays in the land of Tigers, Hawa Mahal, Qutub Minar, beautiful Tajmahal at the cheapest prices. Do not miss to visit the frolic and spiritual city Varanasi and Udaipur during Holi Festival. In your Golden triangle tour Play Holi in most authentic style In Varanasi and enjoy the colorful procession and folk dances of Rajasthan in the city of lakes, Udaipur. Hurry and book 7/6/5/3/2/days trip to Delhi-Agra-Varanasi-Udaipur-Jaipur in the exciting deal offers on this festive season. The Capital of India has lots to offer than historical monuments like Qutub Minar, Red Fort Jantar Mantar. The City is also a destination to Enjoy bird watching, relish on local savory on Delhi roads and some cheap shopping in local markets. Visit the city during the month of October, November, December, when weather is favorable to explore local places. 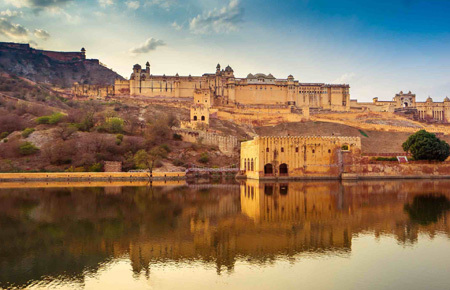 The land of Forts and eternal beauty, Rajasthan’s capital is the pink city of India”Jaipur”.Explore the historic Amer Fort, Hawa Mahal, Nahargarh Fort, Jal Mahal in the month of October, November, December. The colorful land is also a great shopping destination for traditional attires and jewelry. The tiger safari At Ranthambore,155 km away from Jaipur is worth extending your stay. 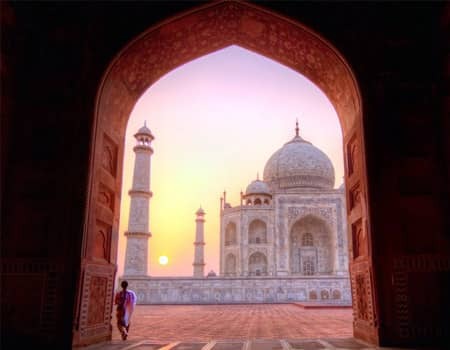 The wonder monument Taj Mahal is the epitome of pure and true love. Agra the city in UP is must visit destination in India. The stay can be extended to visit the birthplace of Lord Krishna in Vrindavan and Mathura and visit the historical and beautifully architect temples in town. Experience the chaotic charm of Old Delhi. Delight yourself in the mouth tempering Indian cuisines. Discover the lifestyle of Royal Kings and Queens. Get a chance to sit and stare the Taj Mahal and explore the Red Fort of Agra. Stroll in fascinating markets of pink city Jaipur. Days 01-02 New Delhi Laal Quilla (Red Fort), Humayun’s Tomb, Swaminarayan Akshardham Temple, Boat Rides etc. Day 01-02 New Delhi Red Fort, Jama Masjid, Rickshaw Rides, New Delhi Street Food etc. DAY 04-05 Jaipur Amber Fort, City Palace, Nahargarh Fort, Jaigarh Fort, Albert Hall, Elephant Rides etc. Best hotel selection for luxury, comforts and hospitality. 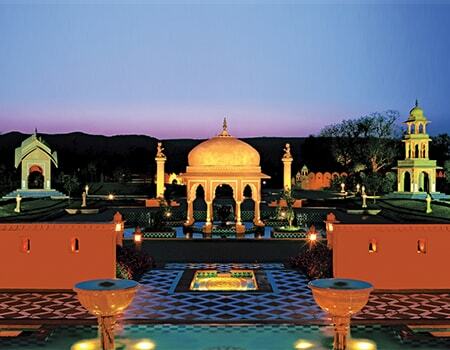 Take pleasure to stay in Oberoi Hotels in Delhi, Agra and Jaipur with high-end luxury. Indulge your spirits in relaxing activities like yoga, spa, etc. Witness India’s famous local activities in all three cities for enlarged fun. Day 01-02 New Delhi Red Fort, Humayun’s Tomb, Jama Masjid, Chandini Chowk, Qutab Minar, Lotus Temple, Akshardham Temple, Royal Mughalai Food etc. Day 03-04 Agra Agra Fort, Mehtabh Bagh, Fatehpur Sikri, Taj Mahal etc. DAY 05-06 Jaipur Amber Fort, City Palace, Jaigarh Fort, Albert Hall, Jaipur Foods & Shopping. DAY 06-07 Delhi Good vibes of Delhi for a memorable see off. When life has been the sum of all your choices, then the trip should be no different! LIH have regards for your choices and expertise in planning a leisure trip in the most comfortable and economical manner. Book a customized trip with LIH and choose your kind of stay, food, transportation, and even your destinations. Let us talk and plan a trip now. Inquire more about the customized trip from your tour planner.